Looking for a Puerto Rican name for your baby? Well, Buzzle presents 221 names for you to choose from. In 2009, the name 'Amanda' was among the top 10 female names used in Puerto Rico. It means "worthy of love". The island of Puerto Rico is an unincorporated territory of the United States, which is located to the east of the Dominican Republic between the Caribbean Sea and the Atlantic Ocean. The Puerto Ricans are Hispanic by origin. The term 'Hispanic' is believed to have originated from the region called 'Hispania', which was once under the Spanish rule. The primary language spoken in Puerto Rico is Spanish. 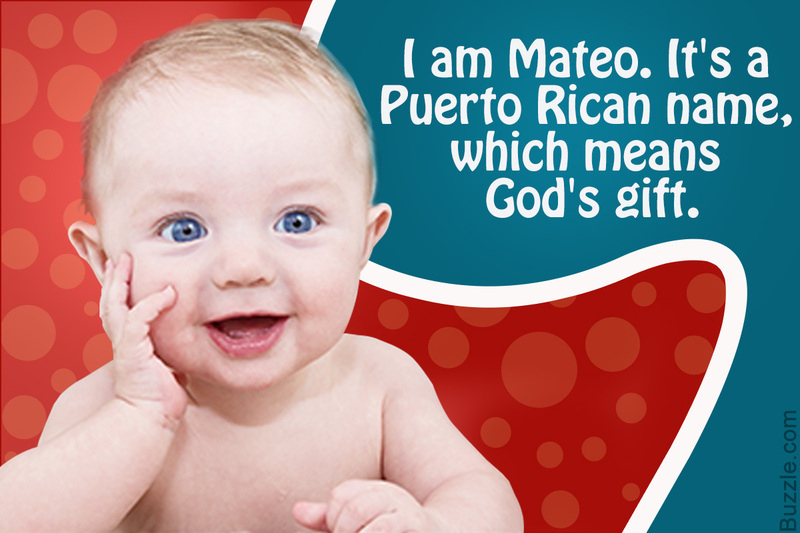 Puerto Rican names are predominantly Spanish, while a few have Latin, Greek, Irish, or Hebrew origin. If you are searching for a name for your baby, go through the list of names compiled by this article. Who knows, you may end up with a perfect name for your little one! Now, that you have the aforementioned list of names along with their meanings, I hope you will not have any problem in making the right choice.